How can found and natural materials enhance and enrich children’s learning, creativity, and social and symbolic development? Join us in our workshop series as we explore this question with fellow educators and parents in our new Materials Center. Teaching Beyond the Square is honored to have Renee Dinnerstein join us for a series of workshops in The Materials Center, to continue the discourse on the importance of play for children in Pre-K through 1st grade. Each workshop in this series will focus on a different area of the classroom, allowing us to go in-depth in examining the role of materials in children’s learning, and will include time for discussion and shopping for materials. For the first in this workshop series, we will focus on the Block Area. Renee Dinnerstein will give you a peek into the block building centers in a variety of New York City classrooms. You will get ideas for setting up a block center, using materials that will enhance the building experience, organizing the center so that children can work with independence and determination, and how to use a light hand in setting up safety and clean up guidelines. 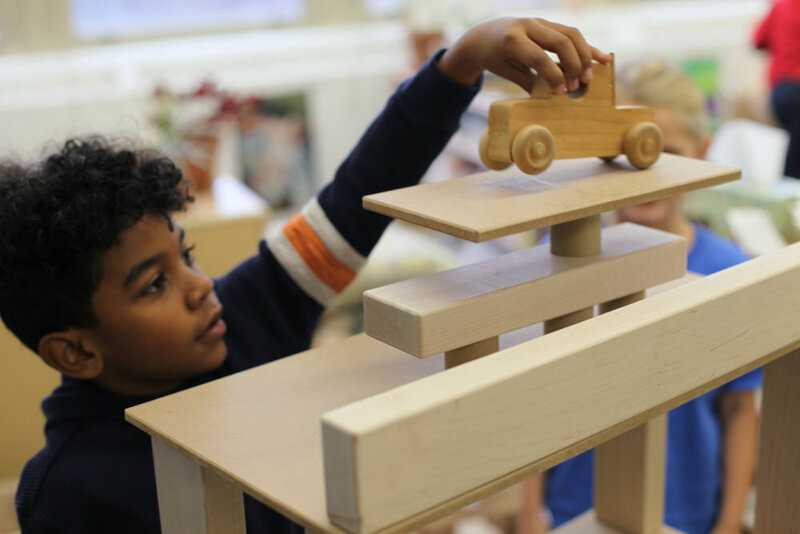 We will look at examples of how the block center can extend the learning that children are doing in math, science and social studies, and how literacy skills fit quite naturally into the block-building play experience. You will have the opportunity to join your fellow educators in a block building activity that will help you launch this vital center in your own classroom. Renée will share examples of some possible interventions when difficulties arise in the center, and can offer suggestions for any challenges you might be having in your own classroom’s block area.